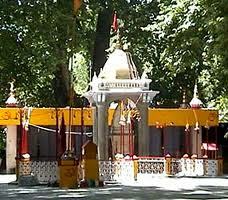 Here is Some Information about Kheer Bhavani Temple in Tullamula Jammu Kashmir India. 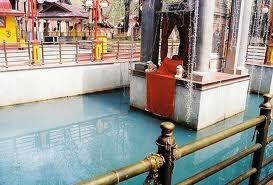 The Kheer Bhavani temple is situated at Tullamula in the Srinagar district. Steams and Chinar trees surround the place where the temple stands. A revered Hindu shrine, the Kheer Bhavani temple is devoted to Ragnya Devi, a Hindu Goddess. Representing the goddess is a sacred hexagonal spring at Tullamula village, which houses a small marble temple. The legend associated with the temple goes that Lord Rama worshipped Ragnya Devi during his exile. 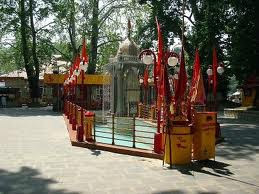 The temple can be reached easily from Srinagar by regular tourist buses and taxis. 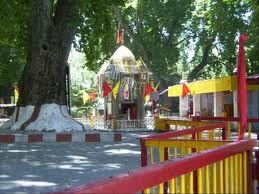 Khir Bhawani temple is set amidst the picturesque surroundings covered with the trees of Chinar. Kheer Bhavani Temple is dedicated to Ragnya Devi (form of Goddess Durga). As per the legends, Lord Rama worshipped the Goddess Ragnya, for the period of his exile. When the exile period was completed, Lord Rama asked Lord Hanuman to relocate the shrine of the Goddess. 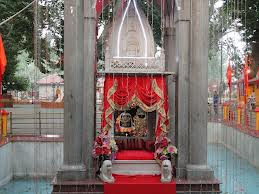 Lord Hanuman relocated the shrine of the Goddess to Shadipora. 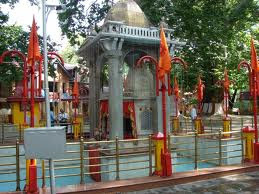 Kheer Bhawani temple is of significant religious importance. Devotees offer prayers to Ma Bhawani on a regular basis. A story is famous about this temple. It is believed that anyone reading or hearing this story is blessed by Devi Ma and his wishes come true. This temple is related to ancient times and according to a famous story, Lord Rama decided to visit Lanka to free Devi Sita from Ravana. This was during the time of Ramayana. Lord Rama along with his army went to Lanka and the battle began. 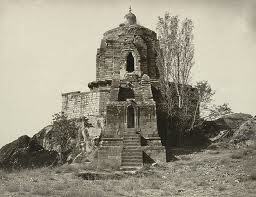 It is said that Devi Raghenya resided in Lanka during that period. When she saw Lord Hanuman, she told him that her time in Lanka was over and she needed to get out. She asked Lord Hanuman to carry her to the Kashmir region in the Himalayas where Ravana’s father, Saint Pultasya, resided. Hearing this, Lord Hanuman decided to carry Devi Raghenya to the Himalayas. Devi Ma disguised herself as a rock and Lord Hanuman lifted her in his hands. He took her out of Lanka and went to the Himalayas where he started looking for an appropriate place for Devi Ma. 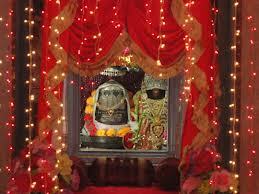 Lord Hanuman saw this place and kept Devi Ma here who was in the form of a rock. Since then, Devi Ma started residing in the same place. This place was neglected during the transition from ancient to medieval times. But then, Devi Raighenya appeared in front of a Kashmiri Pandit in the form of a snake. She took this Pandit to the place where she resided as a rock. Later, a temple was built in this place. An idol of Devi Ma is present inside this temple. 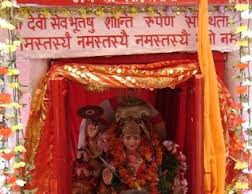 This temple was renovated by King Pratap Singh in 1912 A.D.
An annual festival is celebrated by the temple on the occasion of Shukla Paksha Ashtami. On the particular day, devotees observe a fast and gather at the temple to pay their homage to the Goddess. 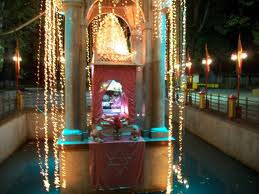 Likewise, Jesht Ashtami (May-June) is another occasion, when people come from and near to have a glimpse of the Goddess. It is said that on this day, the spring changes its color with the blessings of the Goddess. The festival is concluded with 'Maha Yagna' to please Ragnya Devi. By Air:Tikkar can be easily reached by air. The place has its own airport at a place called Srinagar Airport, which is located at a distance of 90 kilometers from Tikkar Kupwara. Flights from New Delhi & Jammu operate on a daily basis. Almost All Airlines operates from these places on a regular basis. By Rail: The nearest railway station that connects Tikkar Kupwara to neighboring states is at Jammu. This place is located at a distance of 350 kilometers from Kupwara. From Jammu , it takes around 8 hours to reach Tikkar By Road. By Road:Tikkar is well connected to neighboring places like Srinagar, Jamu & New Delhi through national highways. The journey from Delhi to tikkar by road takes approximately 20 hours. The highways are well maintained by the authorities and are a pleasure to drive on. There are many tourist buses & Cabs that ply from neighboring places to take tourists to Mata kheeerBhawani Tikkar Kupwara.